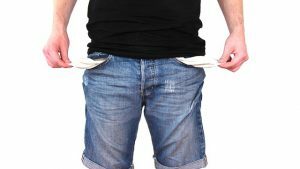 I’m Completely Broke – How Do I Afford An Attorney? While the law says everyone has a right to an attorney, the unfortunate truth is that being poor makes that difficult. The best attorneys charge massive amounts of money, while the public defenders tend to be overworked and underpaid. That doesn’t give one much confidence in getting proper representation. Luckily, there are a few things you can do to overcome that. None of them will get you the top lawyer in the state, but you might get a bit more help than you would otherwise. There are a number of organizations that offer help to those who don’t make much money. These can be a great help since they can often pay for a large part of the expense. Sometimes they can even cover the entire cost! However, many of these organizations expect people to be near or below the poverty line to qualify. It’s unfortunate when that happens, but keep in mind that however broke you are, there are enough people worse off that an entire organization must exist to help them. Much like dental and medical schools, you can often get aid from senior year students. Many of these students are licensed to practice law, as long as they have a fully licensed and accredited mentor standing watch. Of course, as with all students, this is a hit or miss situation. First, you have to be lucky enough to check in when they’re testing students “in the field”, so to speak. Then you have to hope you get a knowledgeable student instead of one who’s close to failing. At the end of the day, the public defender program is there for everyone to use. The funding is often lacking, which means public defenders tend to have too many clients and not enough time to properly help them all. Yet if you simply can’t afford a lawyer, then it’s an option you should look in to. Whatever you do, do not represent yourself in court. Representation is more than simply standing in front of a judge and arguing for yourself. There’s a huge amount of paperwork that must be filed, as well a number of laws that must be followed. The likelihood of making a mistake that sends you spiraling further downward is high. If you’re thinking of defending yourself, then you should go the public defender route. Otherwise, try pricing some attorneys on your own. You might be surprised at the cost. Is An Estate Plan Necessary For You?